Situated in the tranquil countryside in the Rhins of Galloway of South West Scotland, MidFloat Holidays Homes provides two 4-Star, self catering, modern 'farm house' style holiday homes – The Whins and Float Bay View. Here at Mid Float Farm Holidays we offer the chance to kick-back, relax and escape the hustle and bustle of everyday life. Situated in the tranquil surrounds of Sandhead’s countryside within the Rhins of Galloway in South West Scotland, we offer two 4-Star (Scottish Tourist Board) self catering modern holiday homes – The Whins and Float Bay View. Finished to a very high standard, these two homes are fully equipped for your comfort and enjoyment. Both of our properties offer parking for a number of cars, modern equipped kitchens, well designed bathrooms, comfortable lounges, wi-fi, disabled access, gardens and decking area, as well as additional extras such as barbecues. Pets are also welcome, however are subject to prior arrangement. 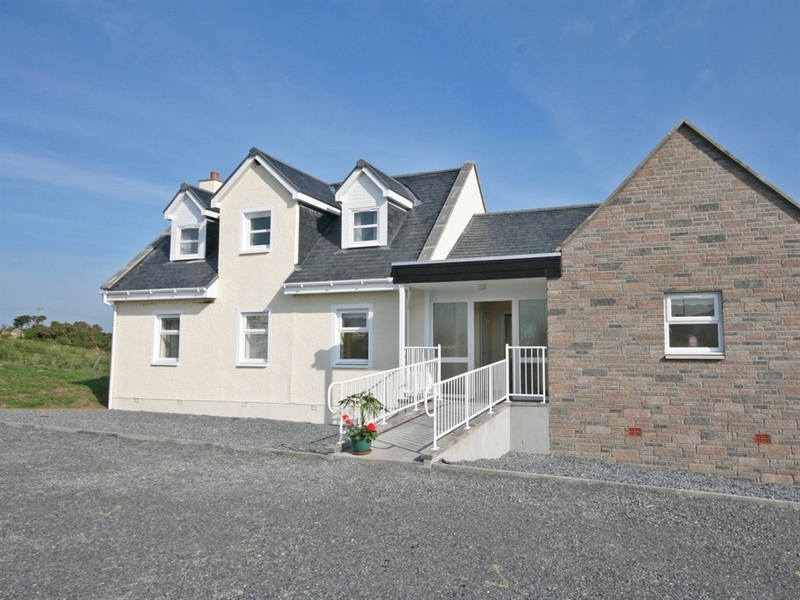 The Whins is a modern bungalow style cottage which has three bedrooms - a double and two twins, accommodating up to six guests. Float Bay View is a modern two-story farm house style holiday home which has three bedrooms - one triple bedroom (double and single) and two twin rooms upstairs which has a bathroom both upstairs and down. Close by to Portpatrick, Sandhead, the Mull of Galloway and Stranraer you will never be stuck for things to do and see, all whilst enjoying the calm and sublime countryside right on your doorstep! So why not come along and immerse yourself in what Scotland gave us?